Loved this place. Friendly and helpful staff, clean rooms, nice chilled social areas and in close proximity to city attractions. Great hostel. Good location right by the university and only 4 blocks from the very center of the city. Very clean. Good atmosphere. Friendly staff that are very accommodating. I recommend it! One of the best hostels I've ever been. The owner, an italian guy, was really kind and he tried to help me in every issue that I had. That made my trip much easier. At first I was in a room with a very noisy guys (they were on party). Rubens (the owner) offered me to change the room for an other better and more quiet, for the same price, he never overcharged me and I was there four days. The staff was very friendly and helpful. Taking care of the guests at all time. 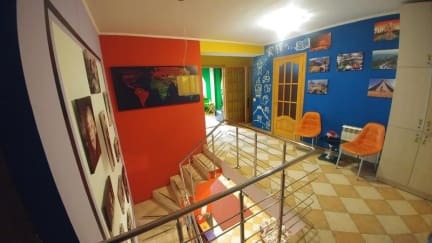 Amazing hostel in a lovely location close to major attractions! Rubens is great and goes out of his way to make sure you have a great stay. Definitely will be back! We had an amazing stay! Everyone very friendly and welcoming as extremely clean. Staff informative and helpful. Would recommend! Rueben, the owner of the hostel, is a veritable treasure of information. If you want travel info he has the answers or it's already on his provided map. 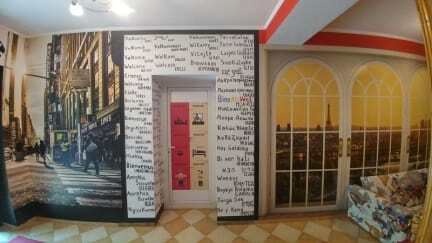 The detailed decoration of the hostel make it a gallery worth the visit. Breakfast is included in the kitchen. The staff speak English well. Washrooms are modern. Washing machine is available. Reception is 24 hours. Beds are comfortable and the sheets seem new. Wish all hostels were as cozy. Great hostel manager. Hard bed, but hey, it’s a hostel. What did I expect? Weird-ish location, especially for two girls arriving around 11 at night. Through a dark gate in an alleyway type area, but it was super safe. Just surprising. I would definitely stay again. Reuben is a kind and helpful host. He has a useful map of the city and good recommendations. It would be great to see more partnerships with local tour agencies for walking tours of the city, or wine tours with guides. The hostel has a friendly vibe, a great restaurant next door, walking distance to all the main sights. Private room I stayed in didnt have shutters or curtains, so I was awoken at sunrise. Also no door lock from outside (padlock on wardrobe). Reuben did say he was going to fix it.